Mame4iOS is an emulator which allows you to play classic arcade games on your iOS device, it has awesome graphic controls which mimic the original game style and mechanics to provide you the best experience. IT supports all iOS devices whether its an iPhone, iPad or an iPhone Touch. Mame4iOs has full screen support and has animated joystick buttons provided on the screen which are placed beautifully and allows you to play games with comfort. It comes with loads of features including universal support, auto rotate, smooth imaging, Animated Touchpad, CRT effect, actual game speed, game input options external controller support and more. Since it is just an Emulator you need to add game ROMs to play games on it. It is very easy to download any game ROM you want and then go to files and transfer the ROM to Mame4iOS files and you’re good to go. 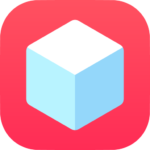 We all have tried to search for a way to download the apps we love for free on our iOS device, well it’s time to stop as TweakBox is a third party app store that is available to download on all iOS devices and it can also be downloaded on Mac using an emulator. TweakBox covers all the apps from the built-in app store and has more content for you to get, TweakBox has all kinds of tweaks which are only available on Cydia that you can download on your iOS device to enhance its features, there is no need to jailbreak your device to download TweakBox. You can simple download Mame4iOS from TweakBox with minimal instructions. Launch Safari browser and Download TweakBox. Wait for TweakBox to download. Go to Settings >> General Settings >> Device Management >> tap on “ Trust TweakBox”. Launch TweakBox and search for Mame4iOS and download. Once again go to Settings >> General Settings >> Device Management >> tap on “ Trust Mame4iOS”. Now you can play all your favourite games using Mame4iOS emulator.